Dr. Tyler P. Lasseigne is an Assistant Professor in the Department of Prosthodontics at Louisiana State University School of Dentistry. 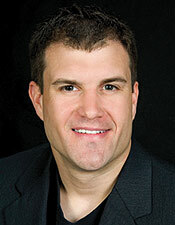 He maintains a private practice limited to comprehensive restorative dentistry. Dr. Lasseigne received his postgraduate education in prosthodontics at LSUSD while obtaining a certification in Dental Lab Technology and successfully completing all essential courses at the Pankey Institute. He now serves as adjunct faculty at the Pankey Institute and is a member of numerous professional academies. Dr. Lasseigne is an expert in esthetic dentistry and currently focuses on new innovative clinical techniques using the latest advancements in technology.